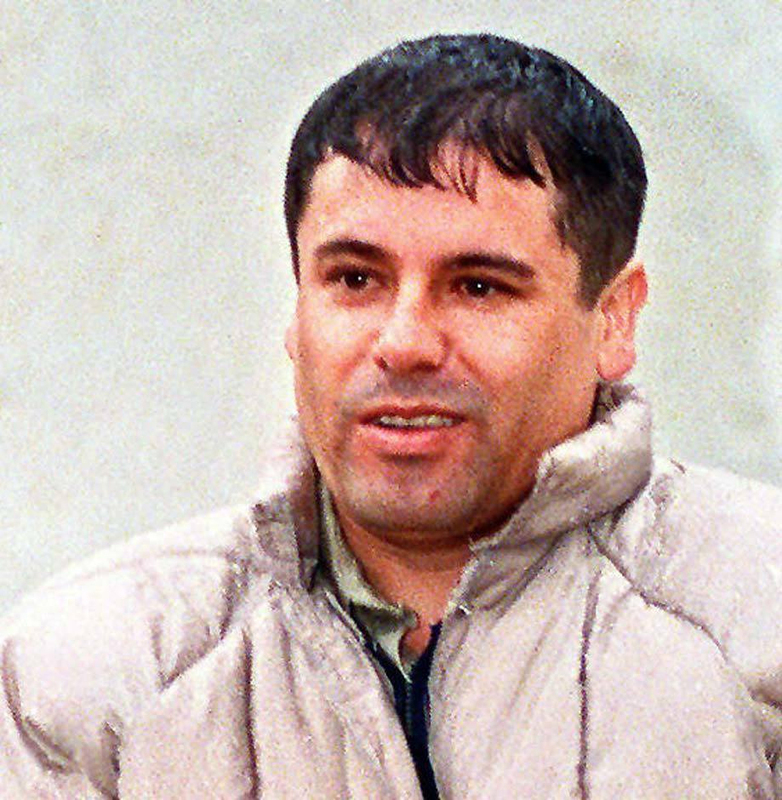 Despite the tight security and inhumane treatment that Juaquin Guzmán is getting from the federal authorities in New York since his arrival at the federal penitentiary, prosecutors keep insisting on creating more trouble for the man they claim is the most powerful drug king in modern times. The latest efforts by prosecutors to make the lives of Guzmán and his family more complicated was to add his defense team to the list accusing the lawyers of conspiring with Guzmán’s wife to bring a cell phone into the courtroom. The day the trial was set to start, one of Guzmán’s attorneys, Manuel Colon Miro, asked the judge to allow Guzmán “to get a hug” from his wife whom he has not seen since he has been incarcerated in the Manhattan federal jail; “It can be a brief embrace in open court,” wrote attorney Colon Miro in a two-page letter to the court, but the presiding judge, Brian Cogan, denied the request. Sixty-five days short of two years since he has been incarcerated in a New York federal jail, Guzmán has been suffering the most inhumane treatment by the federal authorities. He has been denied contact with his family and has only a very limited contact with his legal team. After months of waiting for his day in court, Joaquin Guzmán has been ready to tell his side of the story, and in the first three weeks many secrets have come to light and the reputations of many important names have been exposed in the courtroom, shaking up the system on both sides of the border. It became clear in those three weeks that Guzmán is not what authorities in Mexico and the United States want to make of him; it seems he merely took advantage of the notoriety and used it in his favor. A one-time Sinaloa Cartel luminary-turned federal witness recounted delivering multi-million dollar cash bribes to a top Mexican law enforcer and a former top employee of Mexico’s current president-elect. Cartel turncoat Jesus Zambada Garcia, the first in a parade of informants due in the Guzman trial, testified Tuesday that he delivered “several million dollars” to Gabriel Regino — an underling of newly-elected president Andres Manuel Lopez Obrador. Another of Guzmán’s defense team attorneys, William Purpura, on cross-examination pushed for the possibility that Zambada Garcia could be the real head of the cartel rather than his client, who could be the Cartel scapegoat. A pilot who Guzmán befriended when hired to transport illegal drugs and who he later became close friends with — and who became a Godfather to one of Guzmán’s children — testified under extreme security this week. Miguel Angel Martinez, the pilot, turned informant against his friend, took the witness stand and most likely stretched his testimony to please the prosecution and get a sweet deal for himself as always happens in trials of this dimension and notoriety. Martinez described the astronomical bribes Guzmán allegedly paid to Guillermo González Calderoni, the former chief of police in Mexico City who was assassinated in 2003. “That was his friend,” Martinez testified. “He was sent, on about two or three occasions, about $10 million each time.” He also testified that he was joined on some of these trips by a drowsy U.S. Navy pilot but did not divulge the name of the pilot and was not asked by the prosecution or the defense the reason for him to mention the U.S. Navy pilot. The trial is expected to last up to three months, and if Guzmán is found guilty on all seventeen of the charges, he could be looking at life in prison.